I have not change in thoughts on what gold is doing at this time... I still see the fractal count as nearing the end of a higher-magnitude wave-ii, where wave-c:c:ii may finally be in work in a developing EDT for wave-c:ii. The coming strength of the US$ should have a major role in gold's downward pressure, and I see the USD rally as just beginning, so this will pressure the POG, priced in terms of USD. 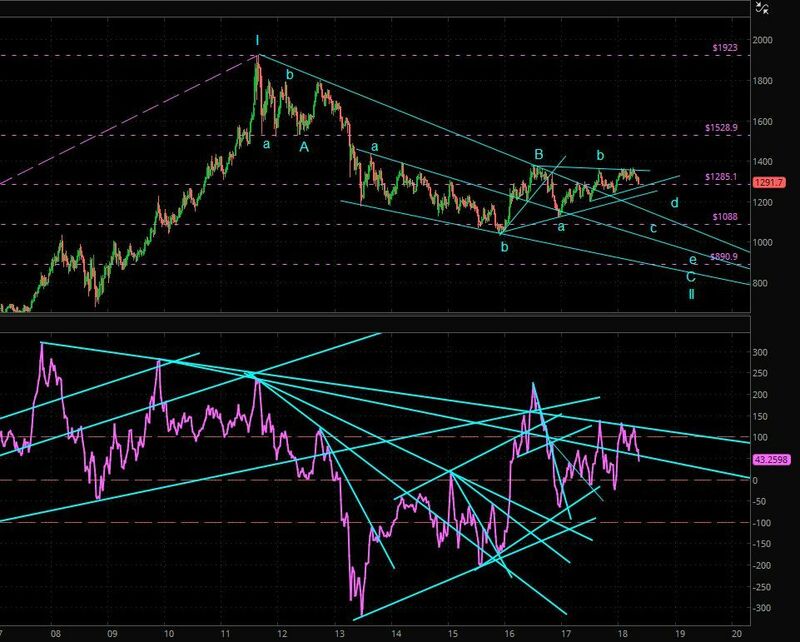 IMHO, gold will become an excellent buy down in the ~$800-$1000 range... watching. Can a B wave terminate below the bottom of an A wave? Does that formation have a name?